In today's media world, getting coverage is only one piece of the PR pie. You want to get more eyeballs by driving your story further into the media food chain. There are several ways to engage the media and raise awareness of your brand. Your Web Site: Don't just have an e-newsroom – promote it so the media can know where to get your brand's news and contacts. Also promote on the web site and in emails that you have a Twitter feed with the handle and link as well as other social media information. And offer an RSS feed along with all the other engagement tools. Last, use video to drive engagement, including TV and online video interviews. Daily Email Newsletters: Many brands, including PR News, of course, use daily e-newsletters or blogs to engage. Two that come to mind are HotNews, distributed by strategic communications group Climate Nexus and going to hundreds of journalists and others interested in climate change; and the Daily Energy Blog, from RBN Energy, a consulting firm. HotNews helped Climate Nexus become one of the leaders in climate change PR and engages the media with its morning updates. RBN's blog has helped make it one of the top media sources on oil and energy for media including The Wall Street Journal, USA Today, The New York Times, The Houston Chronicle, Thompson Reuters, Denver Post and other publications. Social Media and Video: Follow and engage media on Twitter, LinkedIn and other social media on behalf of your brand. When you do this, don't just use text; think images -- whenever you have good internal video or a link to a TV or online video interview, tweet it and post it. Engage with the producers of the segment and other influencers. Press Release Distribution Services and Seeking Experts: Services to distribute press releases track outlets that have opened your press release and provide updates in visibility reports. Besides going to the geographic region you requested for the release, these services send it to targeted media lists you select. All of this helps figure out which media to engage on a particular release and others going forward. These services also bundle the distribution with other products like a media database, clipping service, and an expert feed, where reporters tells PR pros stories they are working on and seeking experts. Other expert services offer similar feeds. It's all part of today's engagement. Other PR Vendors: Services such as those that help PR people engage by following specific reporters for upcoming outreach are a good addition to your PR toolbox. 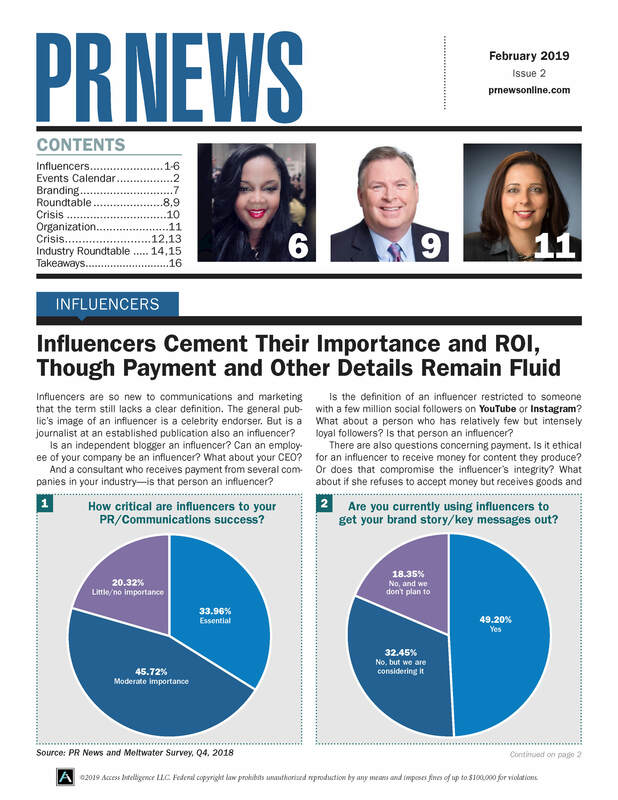 When utilizing these services, PR pros add names of select reporters to an influencer database and then receive alerts as well as other features. What these services are doing is saving you time that you would spend on PR prep – to avoid manually finding the right influencers to advance your PR campaigns. Both are based on what they share on social media and publish to relevant publications, but this way it's quicker. In PR, as in many businesses, time is money. So have the budget to engage with the proper tools. All of this is worth your time and money. Engaging media and raising awareness of your brand is of paramount importance to your PR and communications strategy.